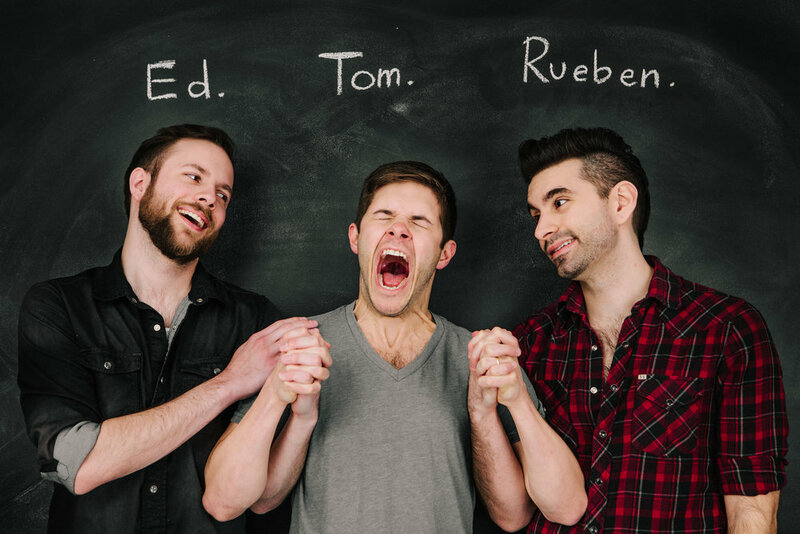 Ed, Tom and Rueben are three very good comedy friends from Atlanta, Georgia who are looking to make you laugh in weird new ways. With a combined thirty years of comedy experience they’ve made a complete mess on stage, on video and in ears. All members of the ensemble troupe at Dad’s Garage Theatre Company, they’ve had the honor of touring internationally and collaborating with comedy greats such as Colin Mochrie, Scott Adsit, Kevin McDonald, Tim Meadows, and more. They may look like a bunch of white boys with nice haircuts but in truth this is all a scheme to trojan-horse a queer latino into the comedy spotlight. We mean Rueben. His love of butts transcends all gender norms. Their newest project is You’re Welcome, Hollywood, an improvised podcast where they create a screenplay inspired by listener submitted titles. Join them every Wednesday as they tackle genres, subvert tropes and attempt to weave a cohesive narrative out of a pile of gross jokes.